You must have an idea in your mind that what your living room would appear after decorations. This will enable you to develop an idea in your mind; you will know in which direction you have to work. Research is a major activity and different publications and brochures can be very helpful. Your idea will shape into a design through this. You will develop the knowledge and basic view in which direction you have to work. 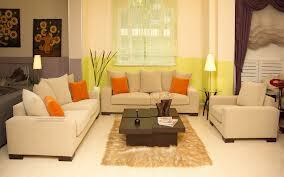 You must choose the designs, colours and styles for your living room which is attractive. You can make a note on the designs adorned from magazines for future reference. The designs which caught your interest can be noted in notebook. Though it is a bit typical process as numerable options are provided in magazines, but as soon as you choose a design make your mind and note it down. Don’t go back and get confused. You should stick on the design which you have chosen for your living room. The next step and the most crucial step are to select furniture for your living room. It like providing oxygen to your living room. You must choose the best quality, durable and furniture with latest style for your living room. Stores in your neighbourhood are the best ones to choose the latest designer furniture. You should note that the furniture must be lined up against the wall;. If you do not follow this instruction and have a smaller room, it will make your room appear very clumsy and small. Curtains for your living room must be very attractive and appealing; they must fill the colours to your room. Though, it is crucial to choose the suitable one but if appropriate one are chosen. Your room will provide a pleasing and live look. The curtains should not be heavy, select the drapes which match your furniture for best look. The floors of your living room must be covered with carpets, tiles or wood. You must adopt dark shades for floor as compared to the colour of walls and curtains. On comparing, your floor must appear darker than the colour of walls and curtains. This contrast appearance will beautify the whole scenario of your living room. Another new and adoptable technique to add glamour to your living room by using plants, trees, flora and fauna techniques. But don’t put extra article, it will cover the space and make your room appear clumsy. Theses inexpensive techniques make your room appear brighter and light. This will add extra liveliness to your living room. Some fascinating pictures and hangings will do the best. Your living room can be a mirror for your personality, taste and preferences. Furnishings play a significant role in enhancing the beauty of a house. Apart from their functional purpose, they add style and make our homes look impressive. The good thing is that we can place beautiful pieces of furniture not only inside but also outside like in the garden area, porch etc. So if you have moved to a new home in Wilmington NC, you must be eager to furnish your home with well designed furniture. With the wide range of designs and colors in which furniture are available these days, it is no more a problem to find the pieces of your choice. However, one of the major concerns here is to find reliable furniture stores Wilmington NC. Over the years, the furniture industry has grown so much that it has become a daunting task to differentiate reliable furniture stores Wilmington NC from non-reliable ones. Thus, here are a few things to consider when searching for good furniture stores Wilmington NC. Availability of choice – Make sure that the furniture store offers you wide many types of furniture pieces. The more the furniture pieces, the more the chances that you will find the right furniture for your home or office. A good furniture store will have furniture in an array of colors and designs. In addition, they will also have furniture of every price range so that people may buy the one that best fits their budget. Customer Service – To check the quality of customer service that a furniture store is providing, search for online reviews or ask your family/friends. This will help you to know the credibility of a store. It is better to avoid purchasing from a store which does not address customer’s issues on time, has misbehaved sales person or are not genuinely interested in a customer’s purchase. If the newly bought furniture needs to be installed, a good furniture store will also send their staff to your home for the purpose. Shipping/Delivery – Big pieces of furniture are hard to take home all by yourself. So you must see whether a store delivers it to your home address or not. If it does, be aware of the shipping charges. Some furniture stores Wilmington NC may ask you to pay outrageous shipping charges. To avoid paying huge sums later on, it would be perfect if you ask the store about the same in advance. Generally, a good furniture store will always have its physical store as well as an online store. One such company is Atlantic Bedding which is counted among the best furniture stores Wilmington NC. The company has its stores across many places. At the same time, they also have an online shop where you can browse through the range of furniture they are offering. What’s good is that they have also mentioned the prices of the same making it easier for customers to find the ones they can afford. Please do visit www.abfwilmington.com. Overall, it can be said that finding first-class furniture stores Wilmington NC can be easy provided that you do some research on your part. Compare the furniture stores on the basis of the above mentioned criteria and you will find out the good ones for sure. There is no denying the fact that we all leave no stone unturned in making our home appear as attractive as possible. Then be it on the inside or outside. However, in the process we often ignore one of the most important rooms and that is the bedroom. No doubt, a bedroom is a personal room that is hardly shown to others but that doesn’t mean that you do not pay enough attention to it. Bedroom furnishings have an equally major role to play. Like any other pieces of furniture, even bedroom furniture should be chosen with care. This is so because a bedroom is a place where you spend a great deal of your time relaxing. That goes without saying that a comfortable bedroom should be on your priority list and this includes a comfortable bed too. For a comfortable bed, all we need is the right kind of mattress. On waking up in the morning, people often complain about problems such as back pain, stiff neck and the like. Did you ever know that the culprit behind this can actually be the mattress you are using? If you never noticed this, now is the time to think seriously about replacing your mattress. So if you are living in Savannah and want to purchase a new mattress, you should be aware of a few little things. 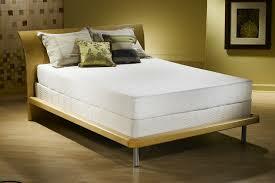 As such there are many mattress stores in Savannah GA offering wide many options to you. However, this may lead to more of confusion when choosing the best among all the other mattress stores in Savannah GA. So here are a few tips that will come handy when selecting the best store. Local store – While there is no harm in purchasing mattress from a store located in some other state, it would be ideal to stick to local mattress stores in Savannah GA. This is so because local stores can be easily accessed as and when the need be. Moreover, you can expect to receive timely services once you make your purchase. Research – Do not buy mattress from the first store that you come across – a mistake that most people tend to make. You need to do a lot of research regarding a store’s reliability, customer service, reputation, offers etc. You can easily do so over the internet by reading testimonials and by joining customer discussion forums. Similarly, you can also refer to your friends and relatives who have shopped at a particular store. Delivery & Return options – Ensure that the store you are about to choose promises smooth delivery. There are many mattress stores in Savannah GA which do not pay attention to their delivery. Mattresses from such companies are usually not delivered in the best condition. In some cases where you may not be satisfied with the delivered product, you must check whether or not a store has the option to exchange or return the product.